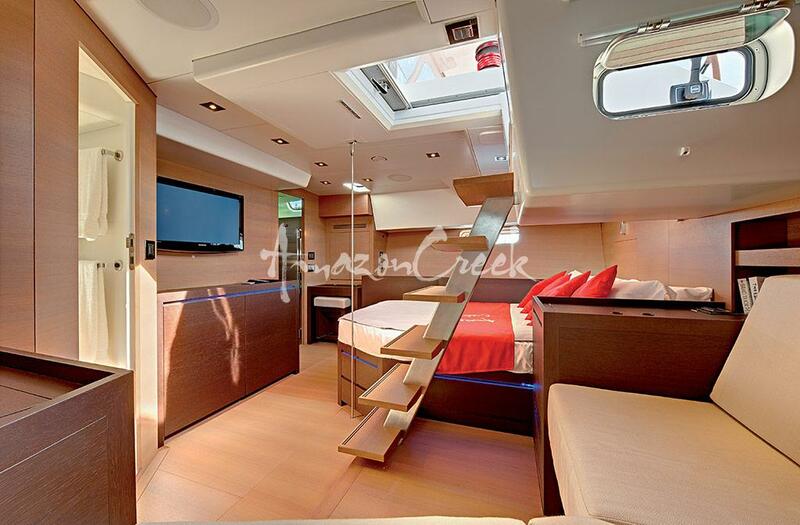 The Amazon Creek yacht is available for luxury charter in the Mediterranean or Caribbean. It is ideal for two couples, a family of four or a honeymoon couple looking to escape it all! It is the perfect base to return to after an hour or two whizzing about the bay on the yacht’s tender or snorkelling, fishing and swimming. 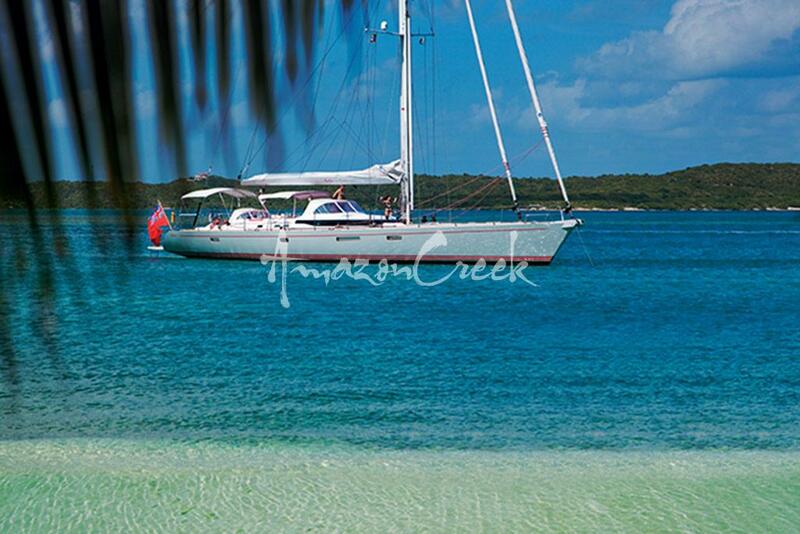 During the summer months Amazon Creek sails the mediterranean waters off the South of France, Corsica and Sardina. Then from December to April she is available for charter in the Caribbean. Amazon Creek sleeps up to four guests in two stunning master cabins, each with en-suite facilities. 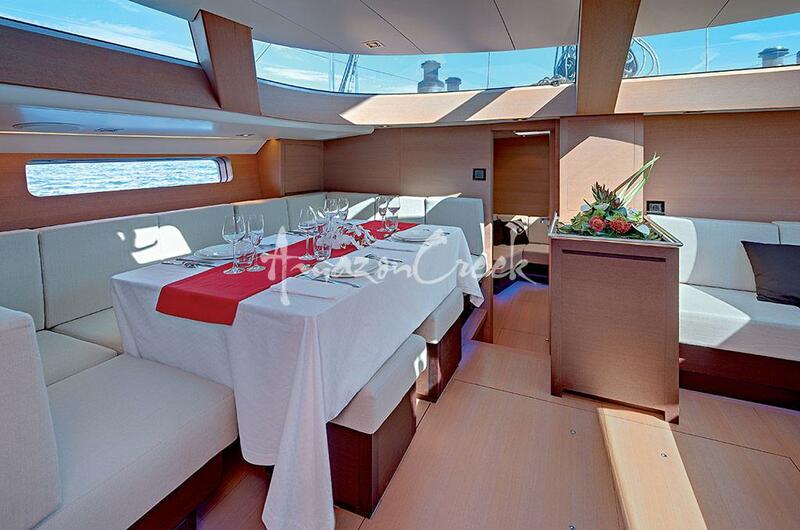 This 77ft CNB yacht has classic lines and modern interiors and is air-conditioned throughout. 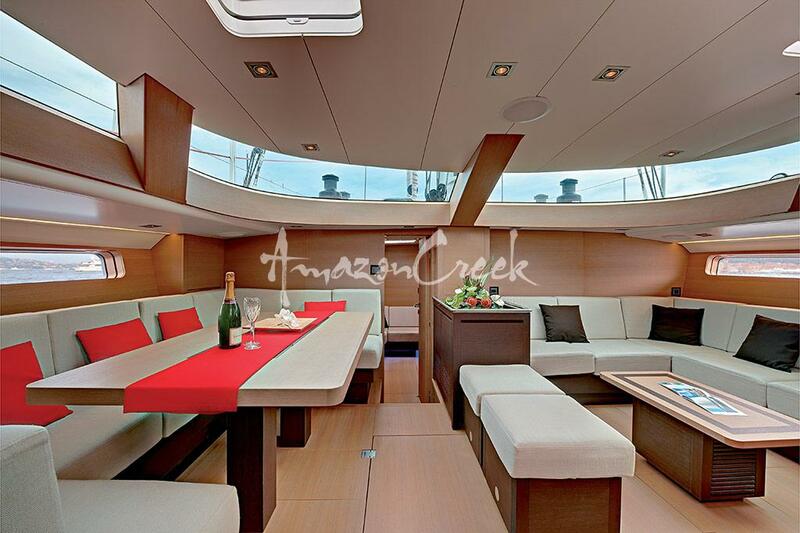 Fully crewed and catered, Amazon Creek offers the ultimate luxury experience, where guests will enjoy spacious surroundings onboard. 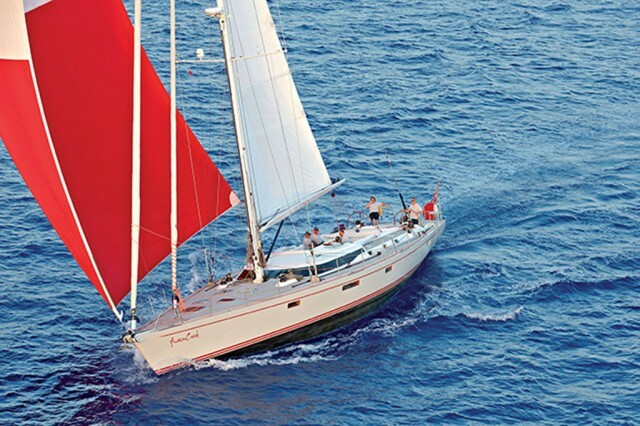 Intended for long voyages, this wonderful sailing yacht has various splendorous recreation areas, both in the bow, stern and bridge, where you can relax and enjoy the sailing experience. 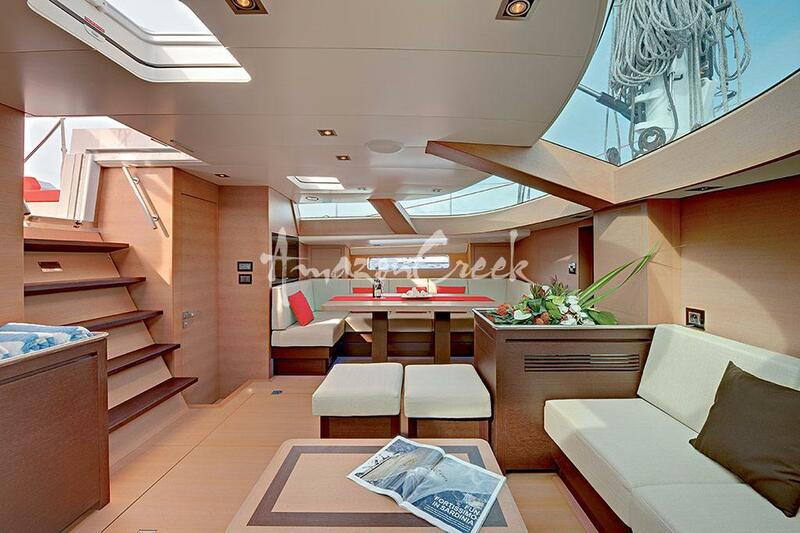 This marvellous yacht balances perfectly between private and common areas creating the perfect environment for all of the passengers from avid sailors to thoose along for the ride! CNB 77 Yachts, a jewel in CNB’s collection. 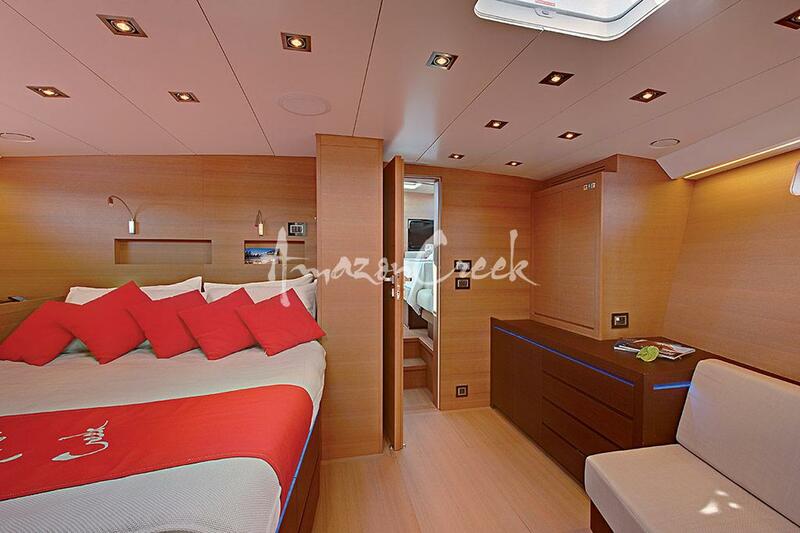 This yacht is fast, seaworthy, comfortable and safe. Purpose built with love of the sea. SY Amazon Creeks sleeps 4 guest in 2 cabins, all with en-suite facilities. Both cabins have their own TV’s, DVD players and Bose iPod docking stations. We have an onboard DVD library and play-station to keep the kids entertained if they want some time out of the sun. Up in the cushioned cockpit you’ll find plenty of space to sit back and enjoy a sail, relax with a good book at anchor, or sunbathe on the wide teak deck. You have the option of enjoying your meals outside in the roomy cockpit dining area, or below deck for a cosy night at the saloon dining table. The yacht comes with a skipper and chef - for couples - and an additional crew hand for groups of four - to sail the yacht to wonderful locations, cook delicious meals for you and to oversee all aspects of your safety and stay while on-board. A complementary bottle of chilled Bollinger Champagne and canapés will await your arrival. For groups selecting our 'cruising package', breakfast, lunch and dinner (up to six nights during the week) are included, as is the wine, beers and soft drinks, four nights in mariners - three at anchor, and diesel. 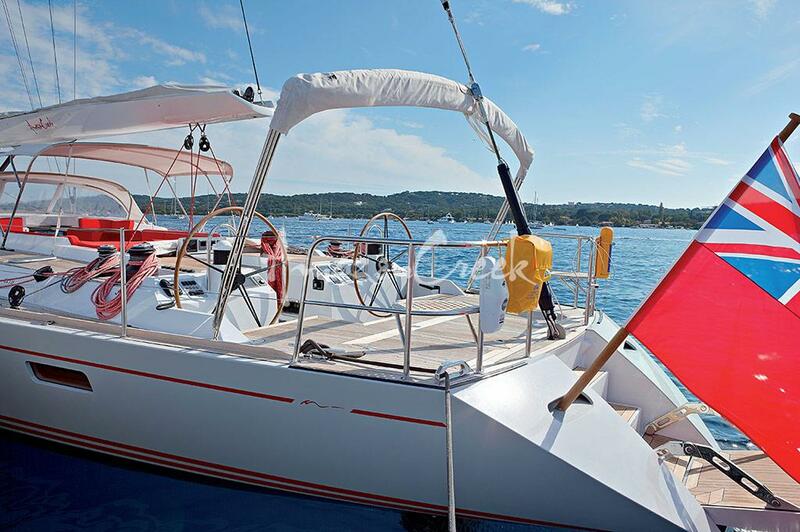 Your sailing itenerary can be entirely flexible and taliored according your preferences and requests.